I will let myself be a little more personal today, because this is a special day. I’ve just spent a couple of hours with my Dad, because he needed a little help and the most important, he had no wish for being alone. Today my parents would have celebrated their 55th Wedding Anniversary and it is quite a number of years, and a long time gone by. Sadly my Mom died two years ago, but my Dad wanted to celebrate this day, in his own way. He told me it would have been the Emerald Wedding Anniversary. We visited Moms grave, and we washed her white headstone. Dad was quiet and sad, of course, but he was very specific that he wanted a heart of flowers for Mom. So I made a heart of flowers for him, with red roses and different kinds of flowers in white. 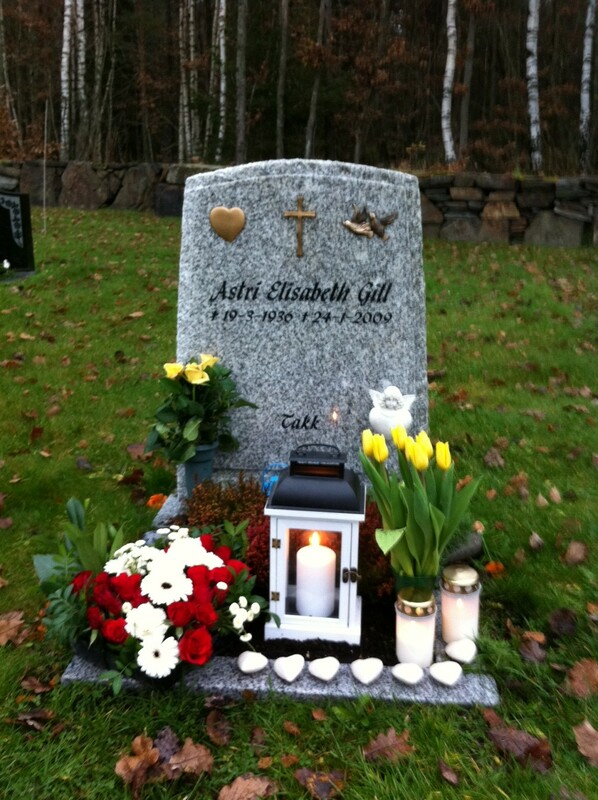 We also bought new candles and a new holder for the main candle, and I washed all the little white hearts, that are placed with her, from her eight grandchildren. It was a nice and quiet moment. Sorrow is not forever, Love is. Thank you for sharing, Ellen.